TIME reports on what is one of the largest cyberheists in history. Bangladesh on Sunday sought the assistance of the FBI in the hunt for the hackers that stole $81 million from its central bank last month, in a massive heist that has taken the South Asian nation by storm. 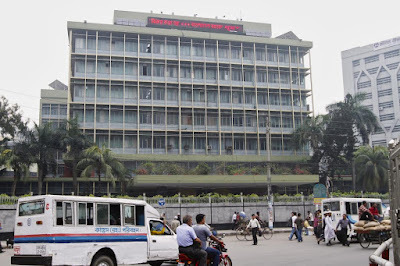 An FBI official met with Bangladeshi police in the country’s capital Dhaka in order to trace the origin of a fraudulent transfer request for the amount, funneled to casinos in the Philippines from Bangladesh’s account in the Federal Reserve Bank of New York, Reuters reported. “This is the biggest transnational organized crime ever seen in Bangladesh and so we sought both technical and human assistance [from the FBI],” Mirza Abdullahel Baqui, a senior police official, told Reuters. He added that the perpetrators are believed to have hailed from six different countries. The cyberheist, one of the largest ever, had targeted close to $1 billion in Bangladeshi government funds but hackers reportedly had over 30 other transfer requests blocked. Another $20 million was transferred to a bank in Sri Lanka (but halted by that country’s central bank), and, according to the Economist, the damage would have been far more extensive had it not been for a typo in one of the hackers’ requests. The Wall Street Journalmeanwhile quoted Philippine officials as saying that some of the stolen money was likely converted into gambling chips — a common money-laundering tactic.